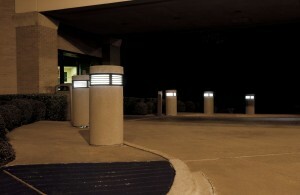 Illuminated bollards meet both the need for security and the need for light. They can be used to line paths or block the flow of traffic, just as normal bollards can. The addition of the light, however, means they are more visible and less likely to be inadvertently struck. By the same token, by enclosing the light inside the bollard it is protected from malicious destruction. Bollards can be made of any material but Stromberg Glass Fiber Reinforced Concrete provides a very strong material. GFRC is crafted from quality materials in the United States of America. This material is resistant to impacts and is very low maintenance and durable. At the same time, Stromberg GFRC bollards are available in a variety of textures and finishes to match any environment. Almost any color is available. Illuminated bollards in GFRC have a light as an integral part of them. The design of the bollard and the direction of the openings into the light chamber determine where the light shines. 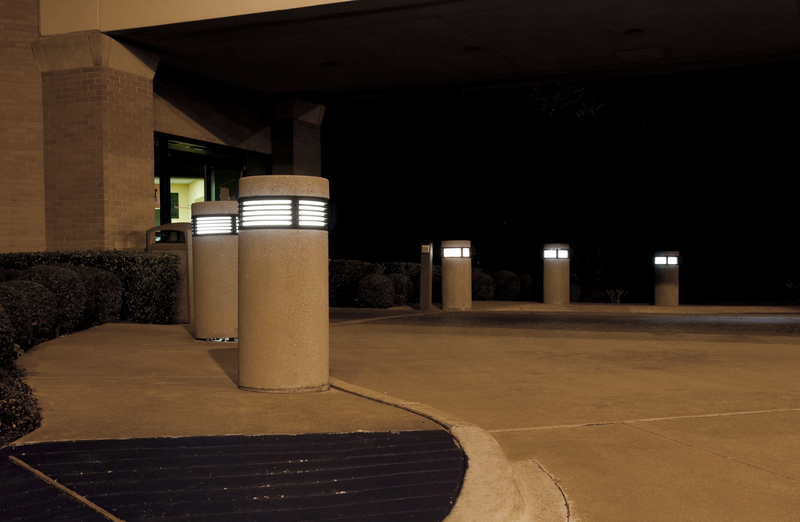 These lights are protected from vandals while being easy to service when the need arises.Illuminated glass fiber reinforced concrete bollards are available in a variety of shapes and sizes. Custom orders are welcome. These bollards are installed in the same way that regular bollards are, by means of hardware case into the bollard. Illuminating jogging paths or illustrating that an area is protected from vehicular traffic are both possible with illuminated bollards made of Stromberg GFRC. To order yours, please call us at (903) 454-0904 today or email us at info@strombergarchitectural.com.